After the September Campaign of 1939, Poland was occupied and split between Germany and the Soviet Union. However, the occupation did not stop the Polish people from continuing to resist. Soon after the occupation, the Home Army (Polish: Armia Krajowa) was established, an underground resistance group. Their most notable action would be during the Warsaw Uprising, which started on August 1st 1944 at 5 PM. The organizers of the Uprising hoped that the Soviets, who were near Warsaw, would help them, but the Red Army stopped just 10 km from the city. The first days of the Uprising went well for the Home Army, thanks, in part, to the capture of German vehicles, including two Panthers and a Jagdpanzer 38(t). The Uprising tragically ended on October 2nd, 1944, leaving tens of thousands of civilians and thousands of troops on both sides dead. The city was razed to the ground by the Germans as a way to punish the Poles who rebelled against them. The city would be rebuilt after the War by a new pro-Soviet Communist government. In the morning hours of August 2nd, between 6 AM and 7 AM, two Jagdpanzers 38(t)s of the 2nd Company of the Heeres-Panzerjäger-Abteilung 743 were moving through the New World and Świętokrzyska streets to Napoleon Square without any infantry support. Their task was to support the German troops fighting against the Polish Home Army for the Post Office in Napoleon Square. 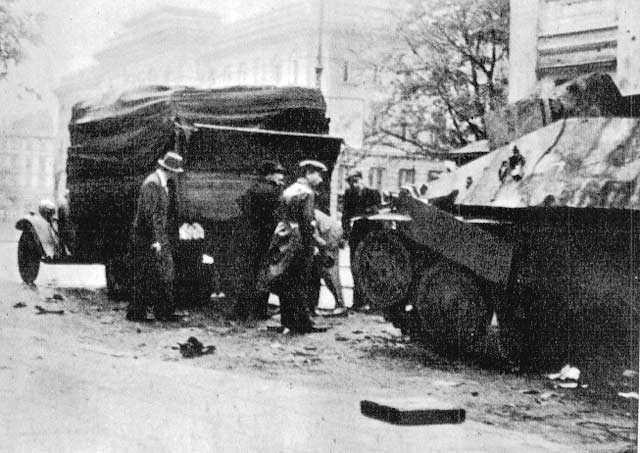 One of the vehicles turned to Moniuszko Street, while the other one went to Hospital Street where it was attacked by Polish fighters using Molotov cocktails and hand grenades which they were throwing from a nearby apartment house. The vehicle was mostly burned out and disabled. Three out of its four crewmembers died as a result. The other Jagdpanzer 38(t), returned to the Square by turning to Jasna and Sienkiewicz streets. The vehicle escaped through Warecka Street towards New World Street. Illustration of the ‘Chwat’ (meaning ‘Daredevil’) by Tank Encyclopedia’s own David Bocquelet. 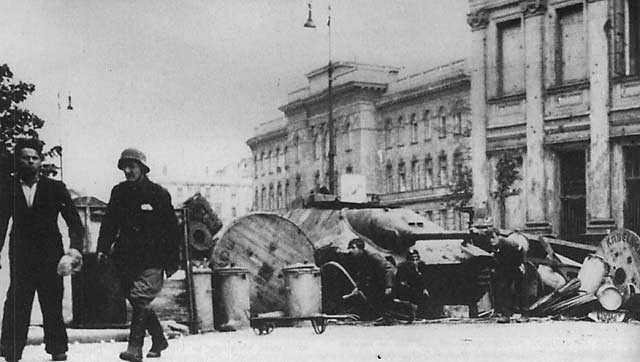 After the capture of the Post Office by Polish Home Army fighters in the late afternoon hours, the ‘Kiliński’ Battalion was ordered to erect barricades in every street in the northeast area of central Warsaw. This was done to prevent further German armored attacks. 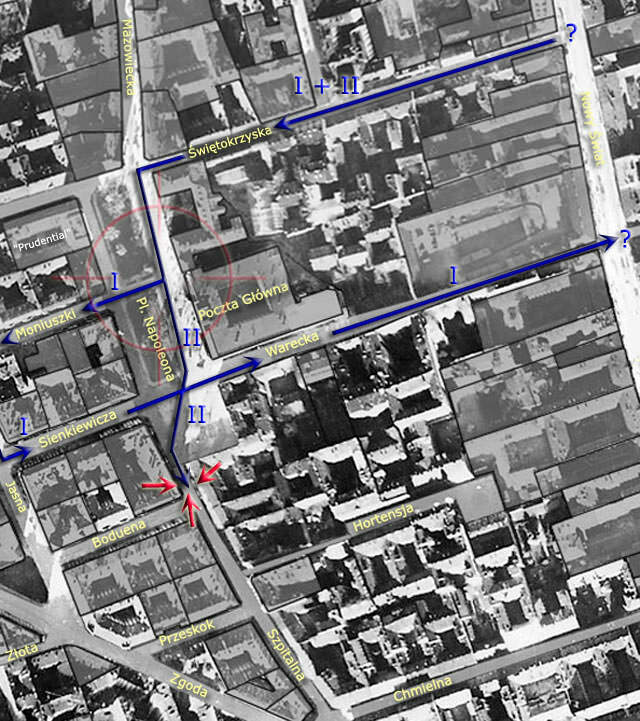 During the night the vehicle was positioned into the barricade which splitting Napoleon square and Hospital street. The barricade itself was located between Sienkiewicz and Boduen streets. Three days later, the tank destroyer was towed out of a barricade with a captured truck. 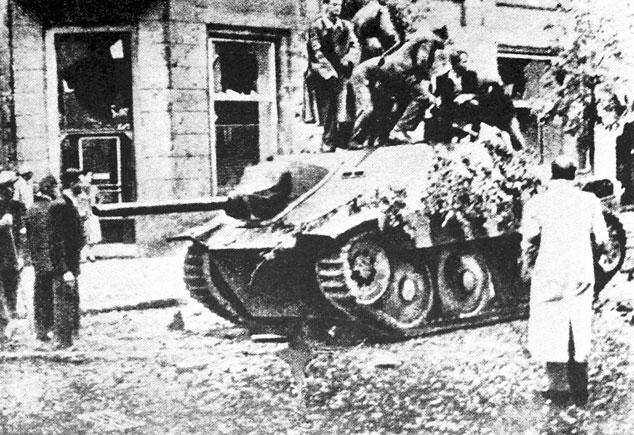 When the ‘Chwats’ (Daredevils), a unit of soldiers from the Division of the Propaganda Department of the Bureau of Information and Propaganda, towed out the vehicle, it was discovered that the captured Jagdpanzer 38(t) was damaged. Although the captured vehicle was critically damaged, the Polish rebels decided to at least try and repair it with parts from a nearby abandoned German car plant because they lacked any military vehicles of their own. After a few days, the Jagdpanzer 38(t) was back in running conditions. The mechanics nicknamed it ‘Chwat’ (Daredevil) and it was ready to take part in the urban combat on August 14th which required the removal of the barricades which was decided against by the commanding Colonel of the Polish for fear of a German counter-attack. The ‘Chwat’ was instead put in reserve should the Germans achieve a breakthrough. On September 4th, 1944, the Post Office was heavily bombed by the Germans which resulted in the destruction of nearby buildings which covered the ‘Chwat’ in rubble No attempt was made to retrieve the ‘Chwat’. It was only in 1946 that the ‘Chwat’ was uncovered and subsequently moved to the Polish Army Museum in Warsaw. However, the vehicle was only exhibited for a short time. 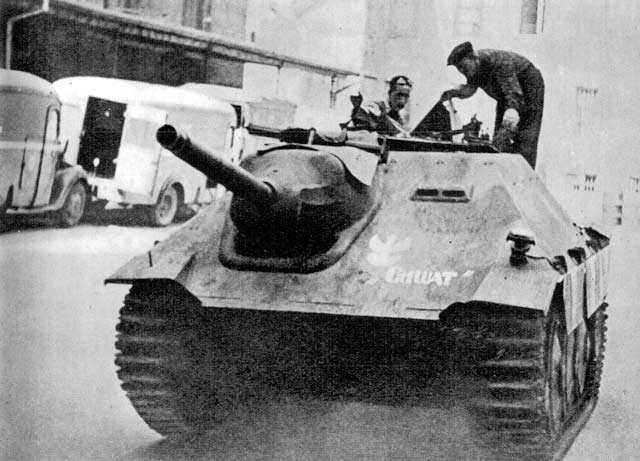 In 1950, during the Stalinist era, the Main Political Directorate of the Polish Army ordered to scrap the captured vehicle even though it was the only known Jagdpanzer 38(t) in Poland at the time. Today, only one roadwheel survives.